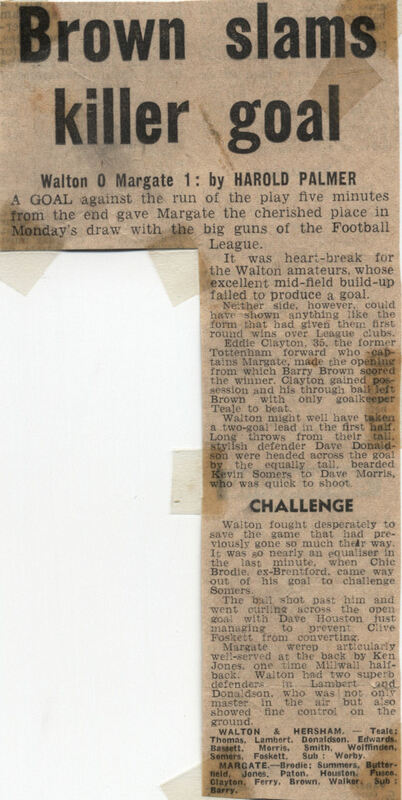 After beating Swansea 1-0 in the First Round Proper Margate were drawn against non-league opposition in the Second Round. 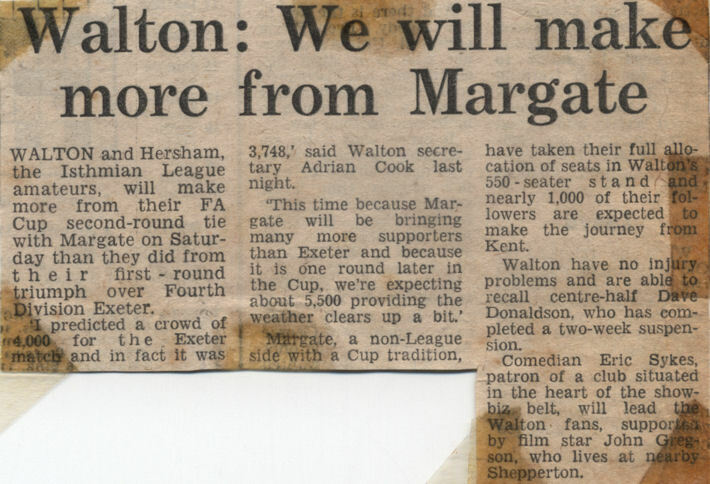 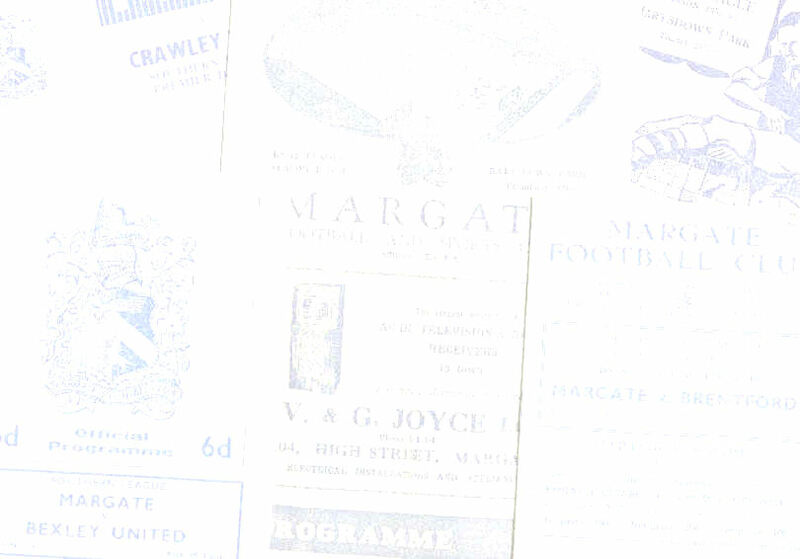 They travelled to amateur outfit Walton & Hersham who were eighth in the Isthmian League and managed by former Margate player Allen Batsford. 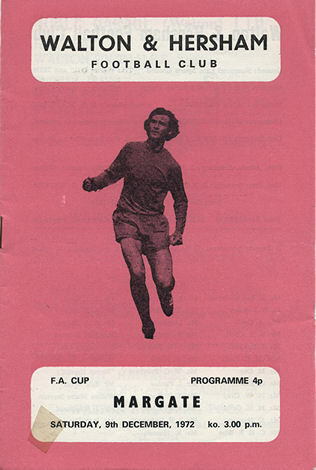 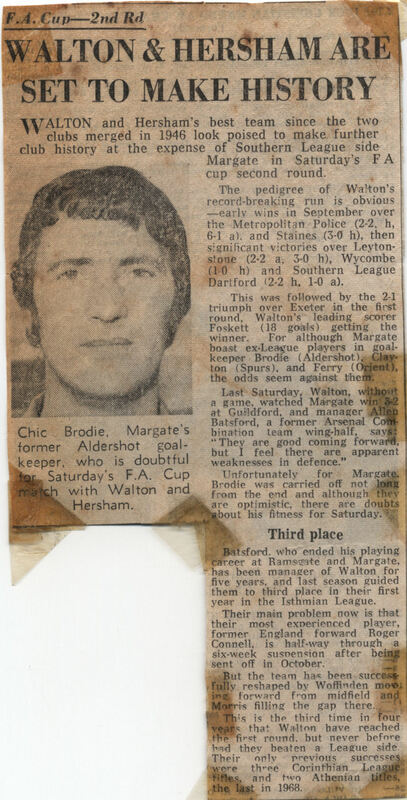 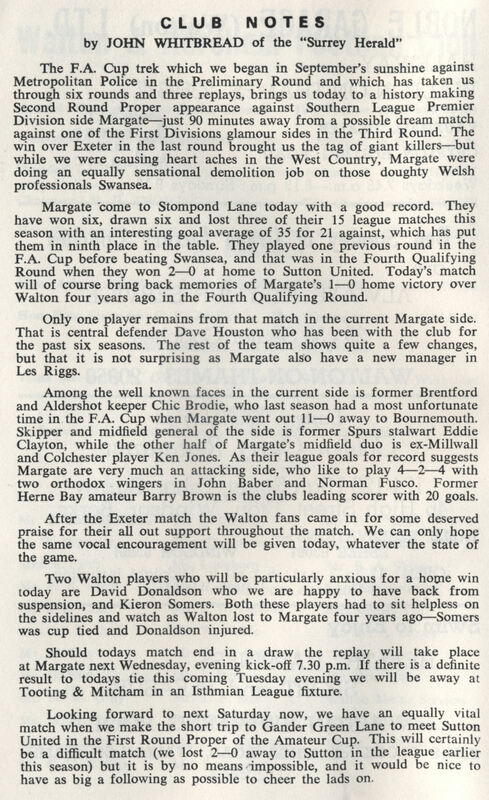 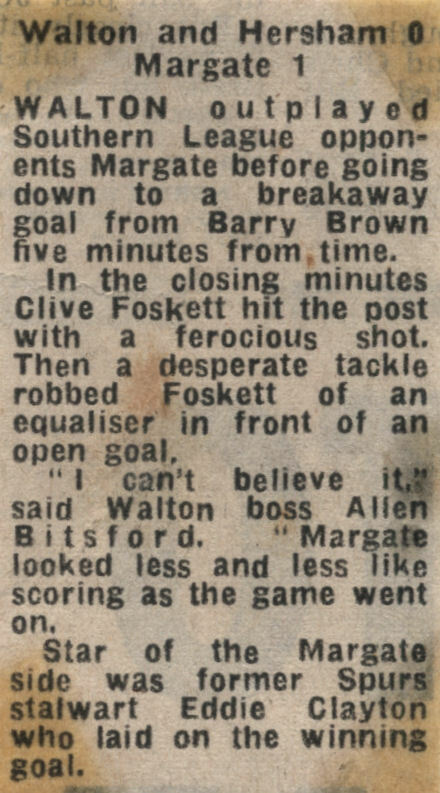 The home side's line-up included future Wimbledon manager Dave Bassett and one Billy Edwards whose son Bill later became a hugely popular Margate player. 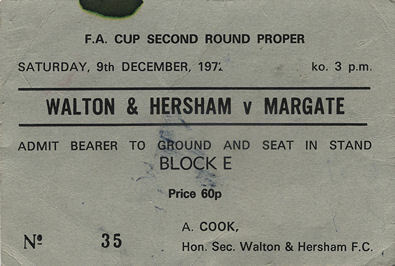 Walton & Hersham had much the better of the game but a breakaway goal by Barry Brown with five minutes left sent Margate into the Third Round for the first time since 1936. 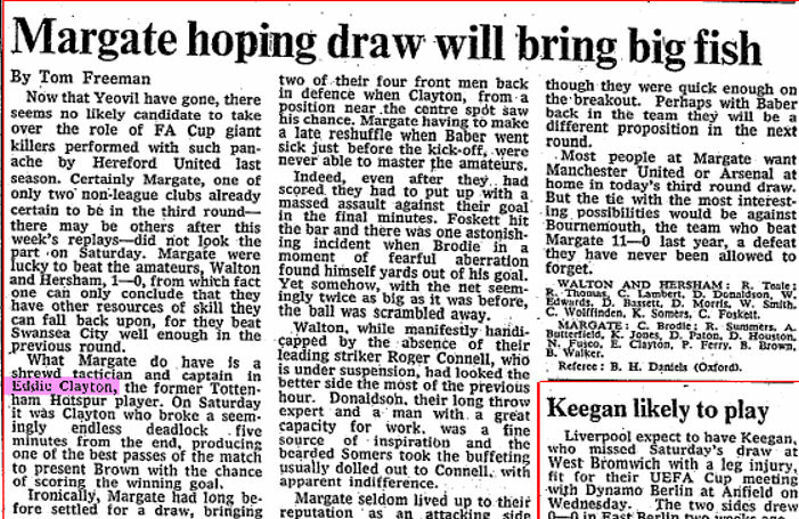 A famous tie with Spurs awaited them there. 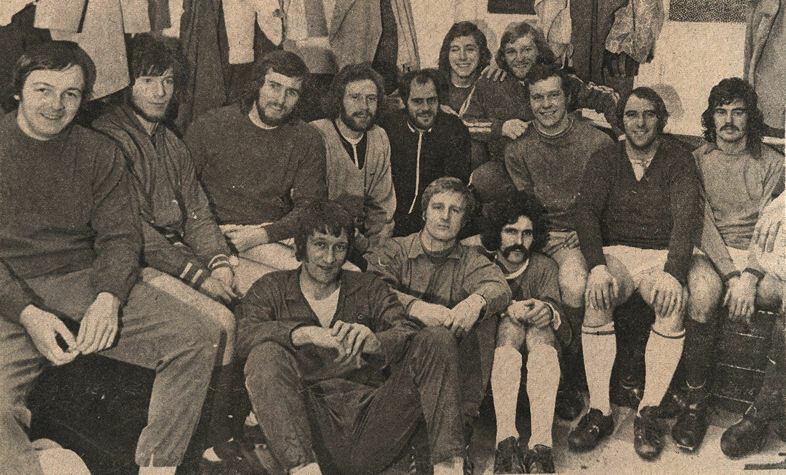 On the floor: David Paton, Ken Jones, Barry Brown. 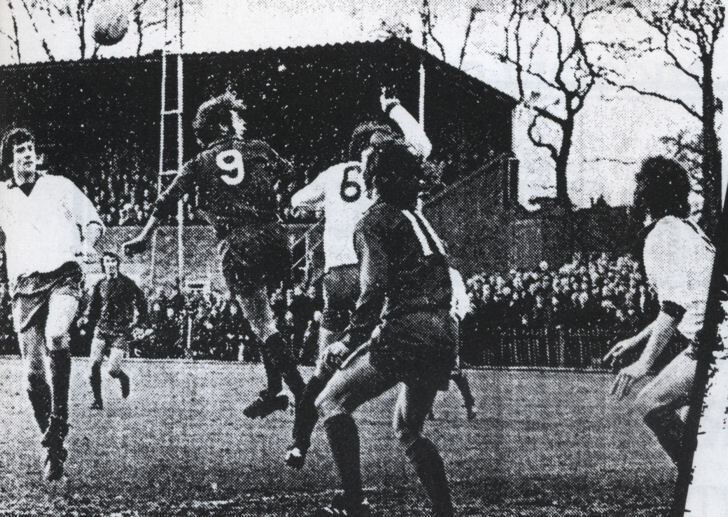 Above: First half action in the Margate penalty area featuring Eddie Clayton (on the left), David Paton (centre) and Alan Butterfield (on the right). 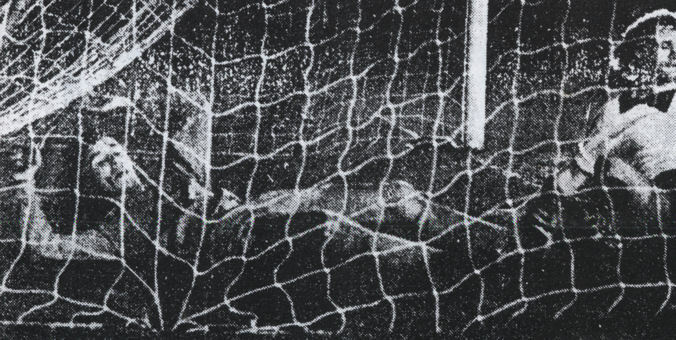 Above: Ray Summers (on the right) makes a goal-line clearance. 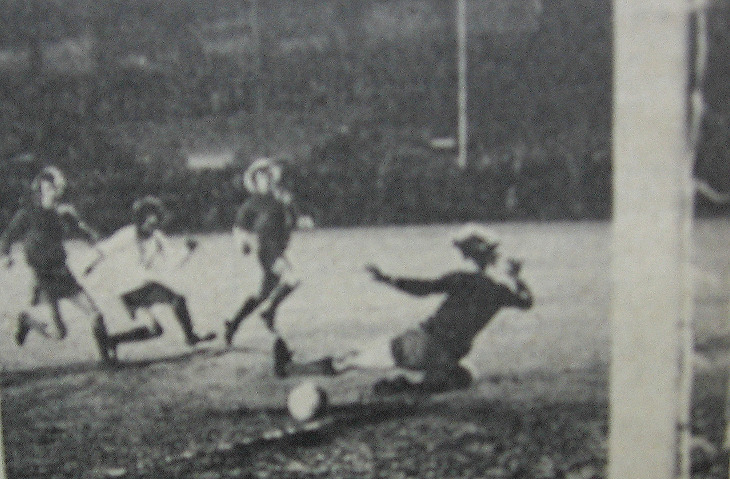 Above: Barry Brown (white shirt) scores the Margate goal.